Advertising is all about coming up with a winning formula that brings together the casual consumer and brand loyalist—and in a perfect world—turns everyone into raving fans. I witnessed raving Eagles fans first-hand last Sunday at Lincoln Financial Field. While there were plenty of die-hard fans, there were also a lot of people that just wanted to be part of the tailgating fun; decked out in midnight green with a refreshment in hand. And it dawned on me that there are some clear parallels between football fandom and brand fandom. You have passionate football fans just like you have loyal brand followers, and then you have more passive fans that just want to get in on the fun of it all. In these timely situations—such as an NFC Championship game—great brands will take every opportunity to get in on the action. Bud Light pounced, and in the process got the Delaware Valley to rally around it. 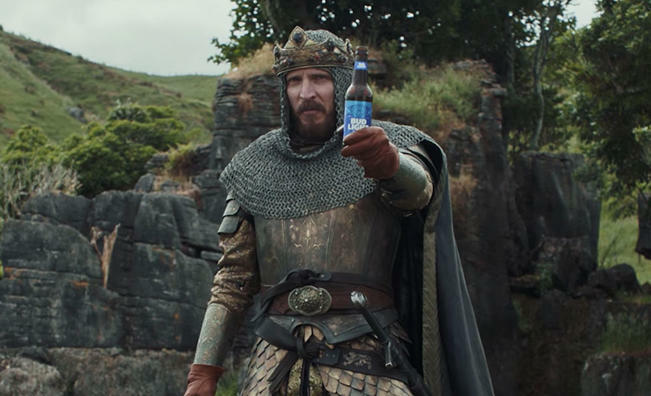 If you’re unfamiliar with Bud Light’s most recent campaign, you can watch one of their TV spots here. The totally brilliant, yet nonsensical phrase ‘Dilly Dilly’ has quickly become a cultural phenomenon. It’s been on shirts, countless memes online and shown up in various other areas of everyday life. When the phrase you’ve coined has made it into the common vernacular, you know your campaign is something special. Bud Light took advantage of the popularity of its latest ads and produced a ‘Philly Philly’ short video, which was released the day before the Eagles played the Vikings. Mind you, this wasn’t a paid TV spot—it was shared online via YouTube. It was a stroke of genius tying the brand to the fan base. In the eyes of the Philly fans, both beer drinkers and non-beer drinkers, Bud Light was a brand they could rally around. Soon shirts were being created with ‘Philly Philly’ written in the same typeface as Bud Light’s packaging. I constantly heard it shouted at the tailgate and inside the stadium by fans dressed in green jerseys. Much like the fans I saw at the stadium Sunday, the ‘Philly Philly’ video attracted both brand loyalists as well as common Philadelphians who just wanted to be a part of the communal fun by chanting support for their city’s team. It’s impressive to see a brand grab ahold of a fan base and a city. In the end, the Philadelphia Eagles were victorious and so was Bud Light. *NOTE: Bud Light created similar videos for the Vikings, Jaguars and Patriots as well. For the sake of this article, we chose to highlight the home team. Fly, Eagles, Fly!